The Revolutionary War left a deep mark on New York City. But the War of 1812? This skirmish with the British hasn’t had a lasting impact here, save for a tiny stone structure tucked away in the northwest corner of Central Park called Blockhouse #1. 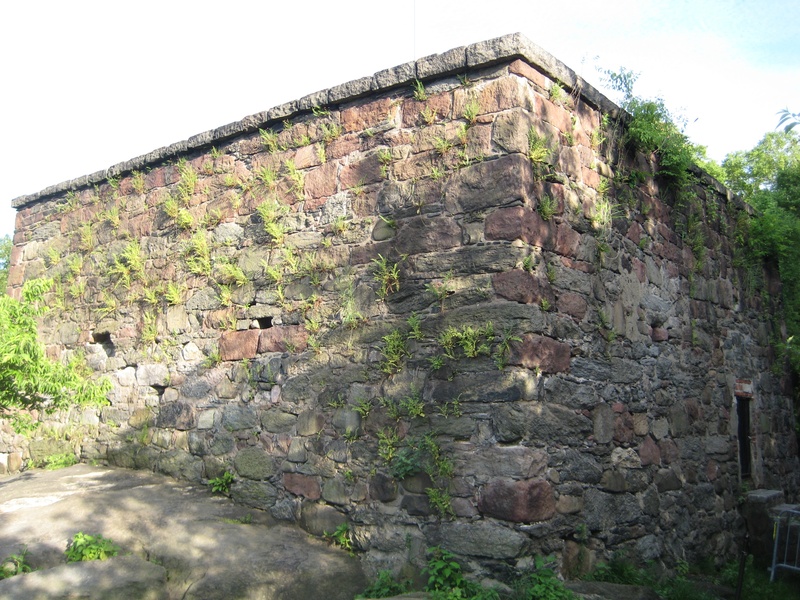 The Blockhouse was built in 1814, one of many constructed in Upper Manhattan to protect the area from the British should they invade the city from the north. It’s in a part of Central Park that is still rugged, high, and hard to reach—the perfect place for some canons. Luckily the British never attacked, and the war was over in 1815. The Blockhouse was later used to store ammunition as well as a place to celebrate patriotic holidays. When Central Park was expanded in the 1860s to include the undeveloped, rocky land between 106th and 110th Street, the Blockhouse came with it. The old structure was considered a romantic, picturesque reminder of another era. It’s now empty, serene, and mostly lifeless, except for a tall American flag soaring into the sky from the flagpole in the center of the fort. This entry was posted on July 6, 2009 at 6:12 am and is filed under central park, Disasters and crimes, Holiday traditions, Upper Manhattan, War memorials. You can follow any responses to this entry through the RSS 2.0 feed. You can leave a response, or trackback from your own site. a very interesting topic. there was a line of fortifications from here to the mill rock and hallet’s point, in case the british should come down through LI sound. afaik, this is the only remnant of any of those forts. I grew up on 110th St a/k/a Central Park North, and we played all over this fort. It was a hike from our home, and we always pretended to be soldiers, or sometimes cowboys and Indians. I thought it was a revolutionary war fort, so it’s little bog post was informative. Thanks.